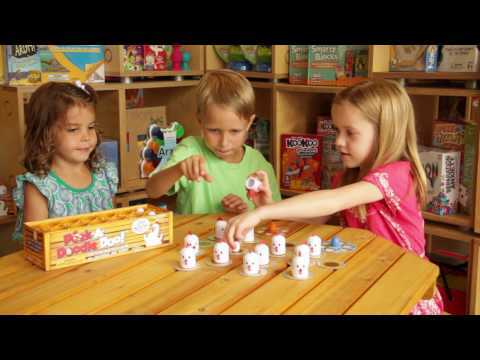 Peek-A-Doodle-Doo is a fun and fast-paced memory game of Find and Hide the chicken eggs. Find...collect all twelve eggs and return them to the crate, keeping an eye on your fellow players and where they are moving chickens, as they are constantly being moved. Which chicken is now sitting on an egg? Hide...then reverse the challenge and remove the chickens from the crate to cover an egg. When all the eggs are re-nested, the player with the most intact egg wins. Designed to improve concentration and memory skills - lots of egg-cellent fun, but no fowl play! Too many wrong moves and you're out of CLUCK!